As job searching and getting of jobs have grown from hard to harder in Nigeria, many Nigerian are really finding it very difficult when they want a new job or looking for jobs Even when searching online, but the new google job search tool has now made it easy for nigerians to easily use their phones and computers to search for some particular jobs, the job location and jobs duration. 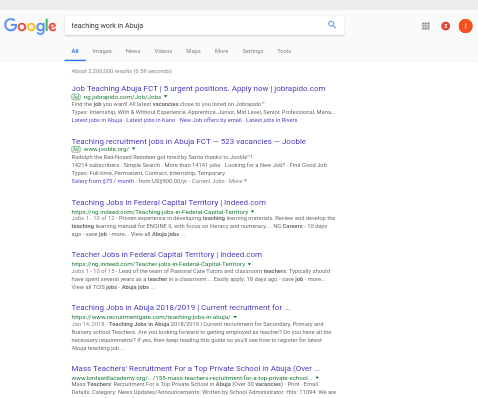 Take for instance if you search for something like "teaching work in Abuja" you get job posting results about jobs in Abuja. When you click on any of the results you get a view on a full details about the particular job you have click both location of the job whether part-time or full time or an internship, you will as well get the details of the requirements for the job. You can as well get email notification about jobs related to your previous search results when you subscribe by flipping the switch on your search category list. The integration of google map have made the job search easy as you can now even see jobs location, duration and you can check if the work can be done from the comfort of your home, with all this featurea job should be less of stress to Nigeria. 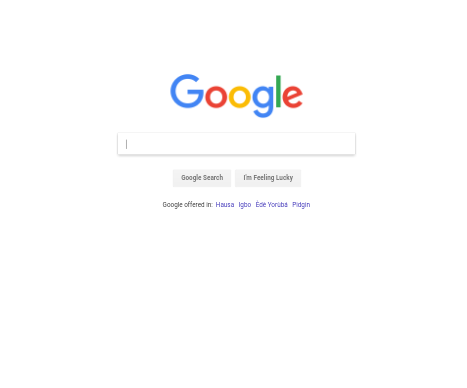 To make things more easier when searching for jobs, google is already making partnership with top Nigerian job posting site like jobberma, NGCareers, MyJobMag and other job resource websites in Nigeria. With this alliance google will be able to post accurate job posting and at the right time for the job search related categories. Juliet Chiazor, the Nigerian director of google during her speech made mention that “Finding jobs and employment is still very difficult for many people. With intervention of this new job search tool experience will help many of job seeking Nigerians search for new and better job opportunities. We believe that the web allows anyone, anywhere, of any age, from any background to grow their business, learn the skills they need to get a job, to grow in their career, become an entrepreneur or developer."